Captains, we know how much you love to be out on the water! 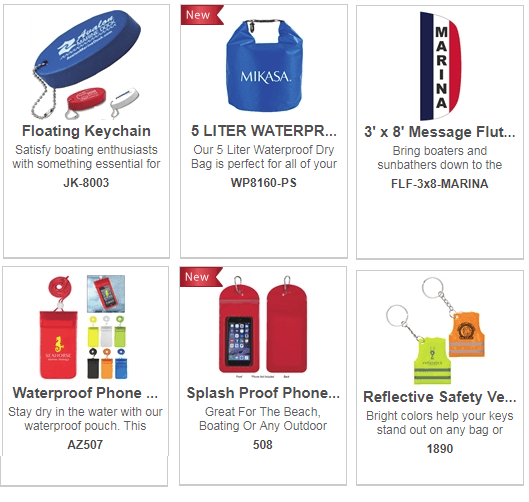 Why not showcase your boat’s name and logo with personalized items? Welcome your guests aboard with a t-shirt, hat or beach towel, and set sail with a special toast in etched bar glasses. Personal gifts like these will make their trip even more fun and memorable. We believe that when it comes to marketing, Anchor Your Image™. We can create your logo and then personalize apparel and accessories with your new look. Let us help you brand your nautical image from bow to stern!